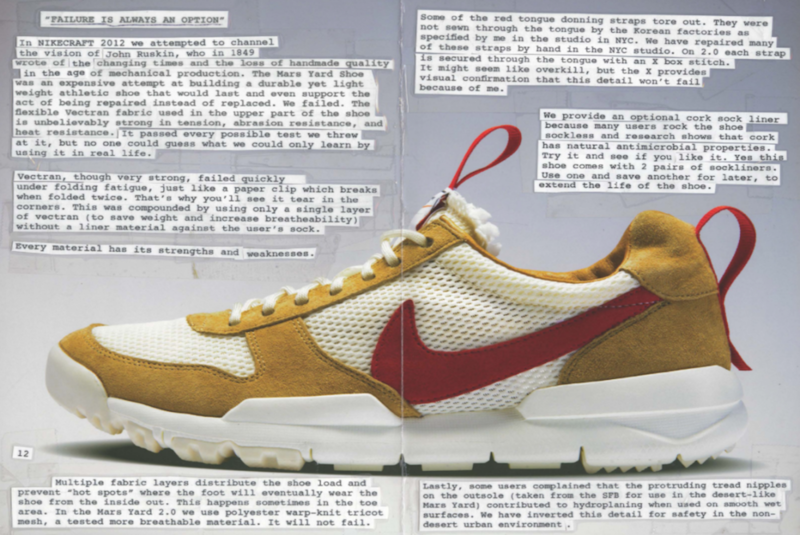 Artist Tom Sachs and Nike have collaborated again with a new pair of shoes called the NIKEcraft Mars Yard 2.0s. Those looking to get a pair of the shoes will have to work to get them in an immersive experience one-hour-long circuit that tests your mind, body and character. Participants willing to put the challenge to the test are offered early access to purchase the just-released shoes. Sachs who is best known for his elaborate recreations of various Modern icons, spends three mornings a week with his team engaging in what they call ‘Space Camp’ rituals to start the workday. A combination of physical feats and manual dexterity tests are done by the studio to keep both their body and minds sharp. In a similar vein, Nike and Sachs have created a ‘Space Camp’ on Governors Island in New York that brings the same elements of Sachs’ studio routine to the public. The tasks that visitors can expect include everything from weaving through a maze of swinging pendulums to jumping over pickup trucks. The Nike x Tom Sachs Mars Yard 2.0 sneakers are the second edition of the original Mars Yard Shoe that came out in 2012. The sneakers are considered one of the all-time great Nike sneakers because of their rarity and unique design, with prices ranging upwards of $3,000 on the after-market. The new version of the shoes are said to be both more flexible and stronger with a sole that have been modified to provide more grip on city streets. Tom Sach’s and NikeCraft’s Space Camp is open on Governors Island through June 18. Visitors can register for a time on NikeCraft.com.